Former President Ibrahim Nasir has passed away last night (22 November 2008) at 21:15 at Mt Elizabeth Hospital in Singapore after suffering from prolonged illness. According to media reports, President Nasir’s family was with him when he passed away. President Nasir, 82, is survived by 5 children and has been living in Singapore since he resigned office in 1978. He departed for Singapore on 7 December 1978 and was residing there since then. President Mohamed Nasheed and former President Maumoon Abdul Gayoom have offered their condolences to the members of the bereaved family. President Nasir’s body is to be flown back from Singapore to Male’ to be buried with full honors. However it is unclear when the body will be flown in. National flag has been lowered to half mast to symbolize the national loss and 23 November Sunday is declared a national holiday following the death of Ibrahim Nasir. Speaking with the media last night, Vice President Dr. Waheed said that the Government was making arrangements to bring Former President Nasir’s body to the country to grant him a State funeral. On behalf of President Nasheed, Special Envoy of the President, Ibrahim Hussain Zaki is already in Singapore to facilitate necessary arrangements. The funeral ceremony will be arranged by a committee consisting of senior officials from the President’s Office, Ministry of Islamic Affairs, MNDF, Ministry of Foreign Affairs and Ministry of Home affairs. Following the funeral ceremony, a book of condolence will be kept open at the President’s Office, Government Ministries, Atoll Offices, and Island Offices and at Government Missions abroad. Ibrahim Nasir Rannabandeyri Kilegefan, KCMG, NGIV, born 1926, is a Maldivian statesman who served as his country’s Prime Minister under Sultan Muhammad Fareed Didi and succeeded him to become the first President of the Second Republic from 1968 to 1978. President Nasir belongs to the royal family of previous Maldivian sultans and his lineage can be traced back Dhiyamigili dynasty. He is also credited with many other improvements some of which include: introducing an English medium of education, introducing TV and Radio and establishing Television Maldives and Radio Maldives, abolishing Vaaru, a tax levied on islanders and developing the country’s first international airport. The most important achievement credited to President Nasir is re establishing the country’s sovereignty, from being a British protectorate to an independent state. 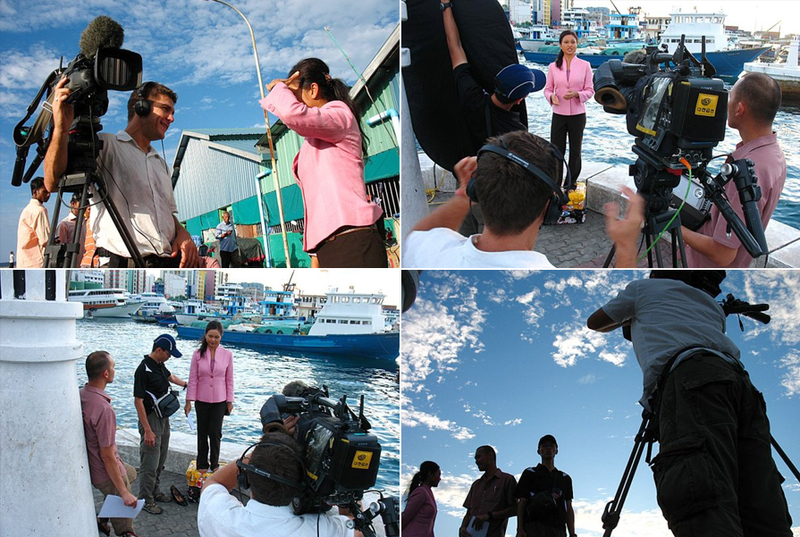 The images are of Aljazeera English Channel crew who visited Maldives in October 2008, to cover the second round of Presidential election. 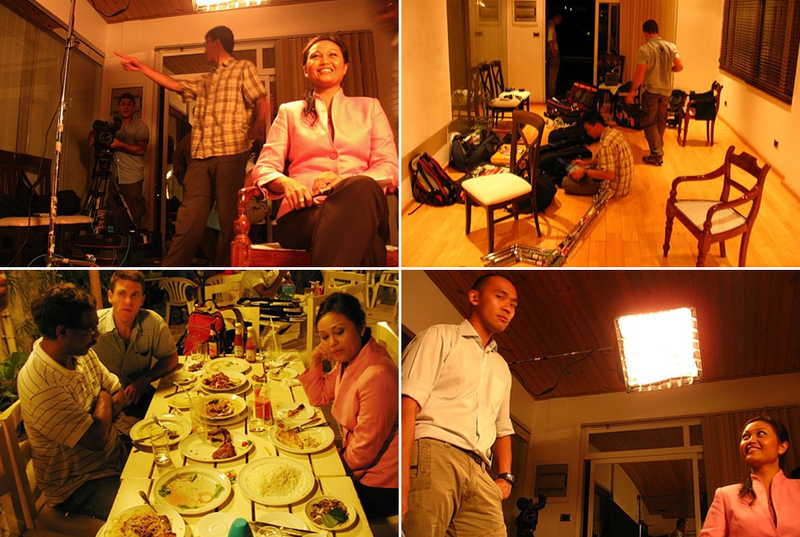 I worked with the team as local agent.